Tayyab is a talented lawyer and youth political leader. 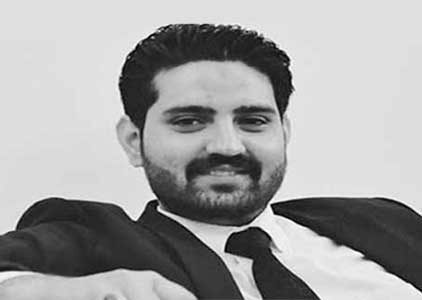 He has been member of Pakistan Tehreek Insaf (PTI) since 2010 and has served the party for several years inter alia as its elected General Secretary of PTI Youth Wing. Tayyab has been an inspiration for the youth of twin cities who has acted as an ideological youth leader for them. Tayyab is a law graduate of Bhaudin Zakriya Univeristy, Multan wherefrom he completed his LL.B in 2016. He has also done MBA & MS from Army Public college of Management Sciences (affiliated with UET, Taxila). Before joining law profession, Tayyab has worked as an Internal Auditor at a US-based multination company. In 2016, he joined Just & Righ Law Company as its partner. His areas of expertise are tax and corporate law. Also he indulges in corporate and commercial disputes resolution through Alternate Dispute Resolution and advisory and has been involved in various corporate litigations as well.